While the the left-back rumour mill is buzzing, isn’t it possible that Klopp has already decided he’s comfortable with Milner as the starter and Moreno as the backup? Forget about Klopp for a minute. Look at this from Milner’s perspective: he’s down the midfield pecking order. In a 4-2-3-1 he’s simply not a starter and likely not even first choice backup. 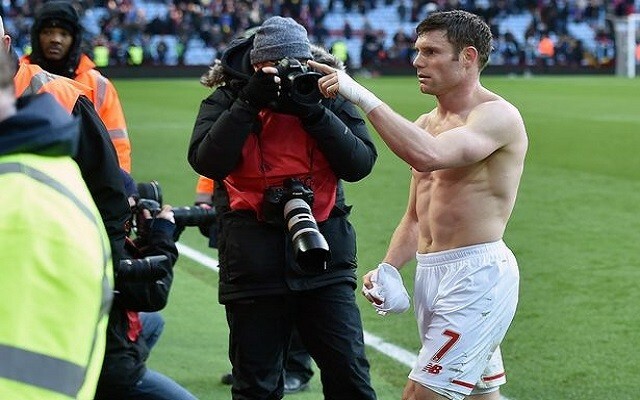 So given the choice of a) being a premier league backup b) transfer to a lesser side, or c) becoming first choice left-back on a much improved Liverpool team, what do you think James Milner would chose? I imagine Klopp has had this discussion with him already and asked him before throughout the summer if he’d like to essentially ‘try out for the starting role’. The case for him being down the pecking order is pretty clear. The Wildcard is Wijnaldum. I could easily see Gini pipping someone in the forward three, or could see him in the central two ahead of Henderson as well – especially if the formation is more adaptive to a 4-3-3 or a 4-1-4-1. An overall value rating for the players in the five midfield positions — however nebulous as a ranking exercise — would ultimately leave Milner in maybe 7th place. And with a bunch of very potent looking kids coming up behind him, Milner could potentially fall deeper in the pecking order. Isn’t it possible that Klopp would actually rather give the likes of Ojo and Grujic in substitute opportunities, too? But now that we’re back to Klopp, the million dollar question is, ‘What’s he going to do at left back?’ Is James Milner an upgrade over Moreno? Is he a better business decision that spending £20m on Hector? Can he do the job? Would it make the team stronger overall? Some will say he’s not left footed. Sure, and neither is Azpilicueta who most seemed to consider best in the league in 2015. Milner certainly has all the tools, and Klopp may have already had this in mind when considering the Flanagan loan move. That team not only looks quite a bit stronger than last year, but it’s likely to give Arsene Wenger a headache preparing for opening day.